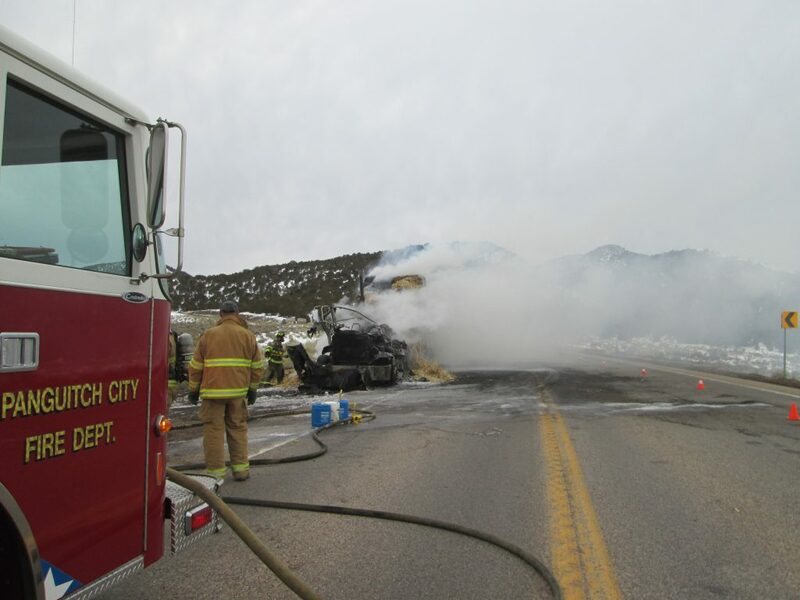 CEDAR CITY — A semitractor-trailer carrying a load of hay caught fire and burned on state Route 20 Friday afternoon. According to a written statement issued by Utah Highway Patrol, the incident happened at approximately 3:45 p.m. near mile marker 12 on SR-20, which is about 12 miles east of SR-20’s junction with Interstate 15 and approximately 8 miles west of where the road connects with U.S. Route 89 at Bear Valley Junction. 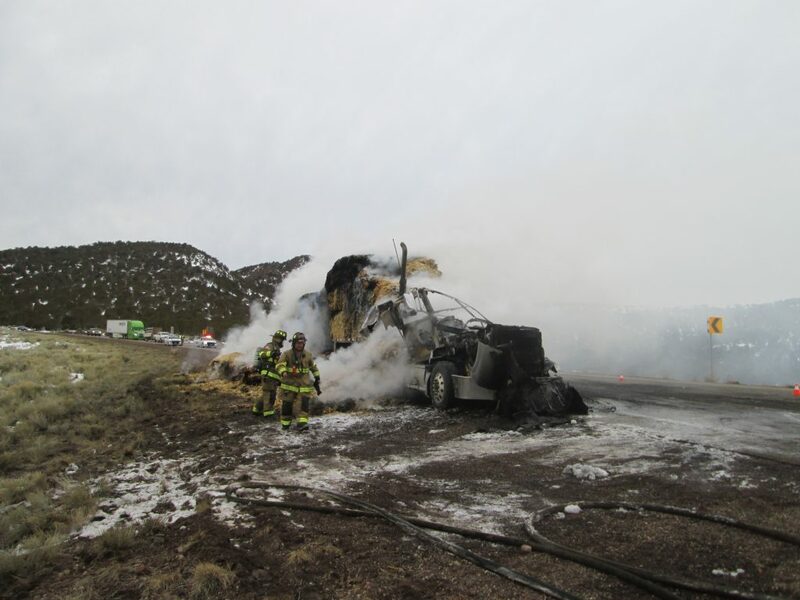 The semi had a mechanical failure that led to it catching fire, the UHP statement said. 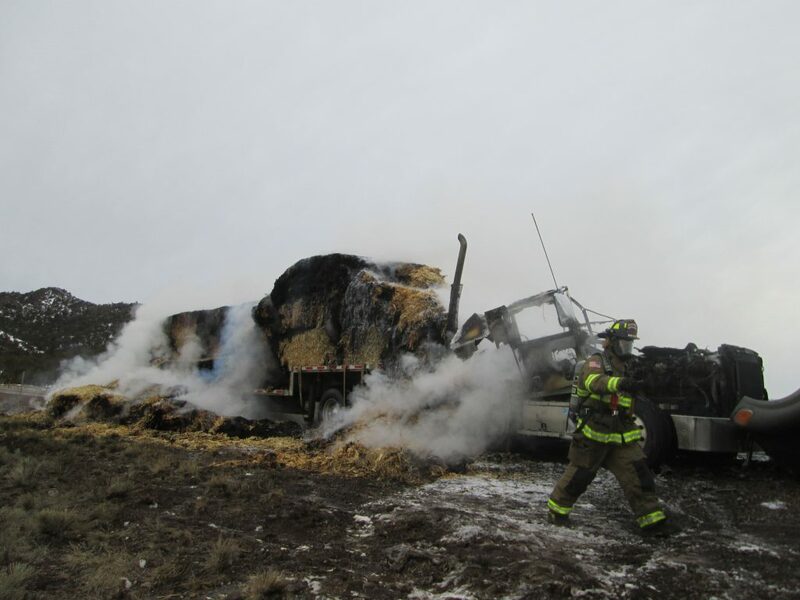 “The fire then spread from the cab to the hay that the truck was hauling,” the statement added. The road was closed in both directions for approximately 30 minutes while the fire was at its peak. After the fire was extinguished, one lane of the road was reopened, with traffic being shuttled through the westbound lane until the scene could be cleared. Firefighters from Panguitch City Fire Department were among those responding to the blaze. No injuries were reported. The truck and its trailer were completely destroyed. 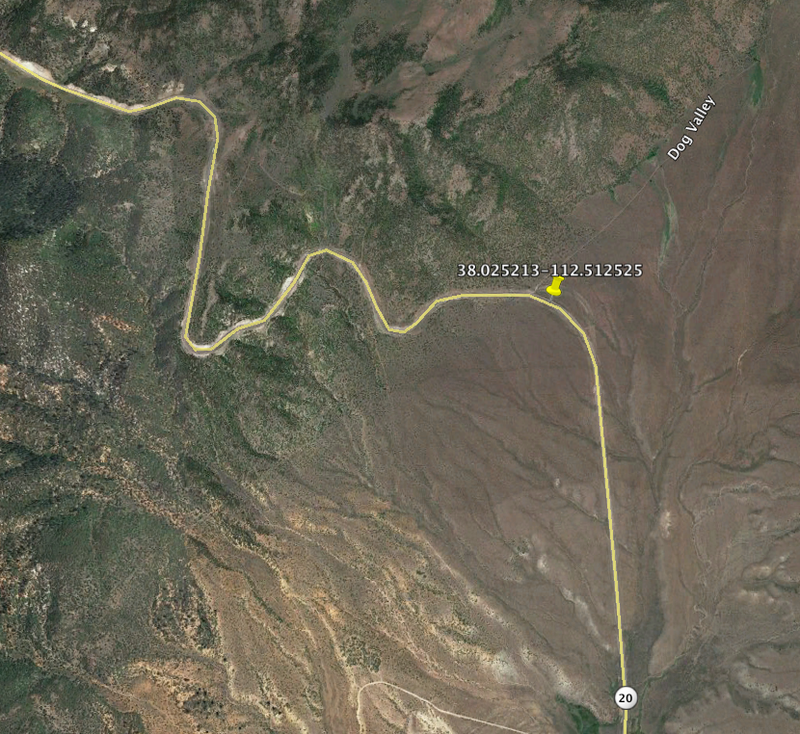 SR-20 is back open in both directions as of Saturday morning.